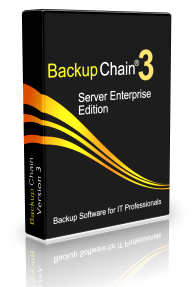 If you are looking for a network backup software with file versioning for Windows Server 2016 or older versions, have a look at BackupChain, the most advanced backup versioning tool with over 40,000 users in over 60 countries. Check out the summary and download the full version for a test drive, it only takes a few minutes to start your first backup! BackupChain uses backup tasks to organize and keep track of your backup settings. You can use as many tasks as you need, each on a different schedule. 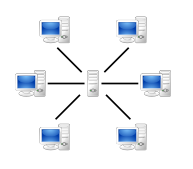 Network shares can be the source or the target, and are very simple to set up. You could now add many more network shares or simply proceed to the Backup Target tab to specify your target location. The backup task is now ready to go! Click “Run Backup Task” to start it immediately or use the Schedule tab to add schedule settings. Once finished, use the ‘Enable Scheduled Tasks’ button to engage the task scheduler mechanism. More advanced settings, such as backup file versioning, Hyper-V VM backup, deduplication, and log alerts are available in their respective tabs. Note that backups in BackupChain are always incremental; when you repeat a backup task, BackupChain only backs up new and updated files and thereby speeds up the entire process considerably. Whether you use BackupChain to back up your network servers or as a general server backup software, all operations are logged, recorded, and archived in the Log tab for future reference. Additional details on other features are available on the Feature Overview page. As soon as you have more than one computer you run into ‘logistics’ issues. 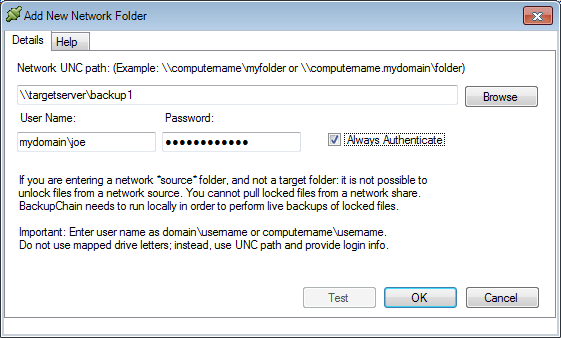 You could create network shares on each PC and access each other’s files; however, as you add PCs and people accessing the same files, things can get complicated, especially when you want to ensure all data is properly backed up. A centralized file server doesn’t have to cost a lot. It could be just a simple PC for a small workgroup to which everyone has access. Larger teams might want to opt for a Windows Server, ECC RAM (reduces RAM error probability), and RAID (files are copied instantaneously to several hard drives within the same server). You could also use a NAS device instead (Network Attached Storage) but, assuming you use Windows in your office, we do not recommend that unless the device has a Windows operating system. The reason is simply that most NAS manufacturers save money by not using Windows and when you copy files from a Windows PC to a non-Windows device, there is a potential for several issues, mainly limitations of file name length, file name characteristics, and file size limitations. In addition, many NAS devices cannot copy file access permissions as-is. A Windows NAS, sometimes called Windows Storage Server, however, is a compatible choice as it uses NTFS internally, just as all modern Windows PCs. Common NAS brands include Drobo, QNAP, Netgear, and Synology; some of which may offer a Windows operating system as an option. A Linux-based NAS device offers some of its own advantages and may work for your company; however, it’s best to be aware of the pros and cons and risks involved in all available technologies before making a purchase. At the very small scale a PC with one or two external drives will also work well.